Posted on September 14, 2015 September 19, 2015 by Dr. Yoav Shalev, Au.D. 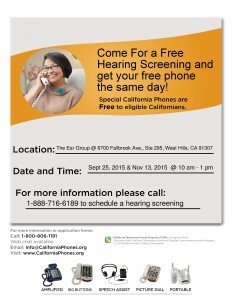 Please join us at our open house event with California Telephone Access Program (CTAP) on September 25, 2015 between 10am to 1pm. What is an Equipment Distribution Event? 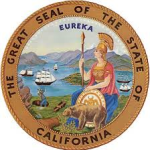 A Distribution Event is an opportunity to become certified for the California Telephone Access Program (CTAP) and receive equipment on the same day at a convenient location. You can meet with trained CTAP staff who will work with you to select the equipment that best meets your needs. Enclosed is a flyer inviting you to come to our office to see or test the equipment. If you would also like an updated hearing test, please call our office at 818-716-6189 to schedule an appointment that same day. The Ear Group specializes in the latest hearing aid instruments and custom hearing products. Visit our website at www.TheEarGroup.com for more information. THERE WILL BE NO SALES CONDUCTED IN THIS EVENT!